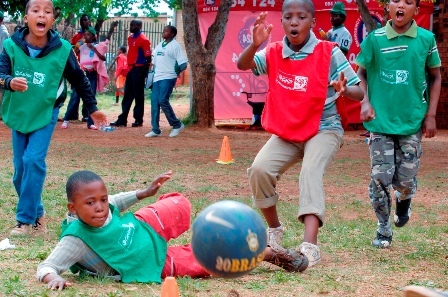 Castrol is rolling out its Skillz Holiday Programme to children around South Africa during the extended school break over the 2010 Fifa World Cup ™. School holidays are traditionally a risky time for children. They are bored and free to roam without the daily occupation of school attendance, and many children in South Africa are left without adult supervision during this time. Because of this, they can be exposed to potentially dangerous situations. The risk is even higher during the 2010 Fifa World Cup ™, because of the extended timeframe of the holiday period. In light of this, Castrol, as one of the lead sponsors of the 2010 FIFA World Cup South Africa ™, in partnership with Grassroot Soccer, a non-government organisation (NGO) that binds the fanatical impact of soccer with the necessity to get the message about HIV/Aids across to the youth of Africa, will be holding its Skillz Holiday Programmes in June and July this year. The Programme, launched in September last year, uses the universal language of sport as well as the increased fervour for football as the 2010 FIFA World Cup South Africa ™ approaches, to reach the youth with important life skills and HIV/Aids awareness messages. Participants don’t necessarily need to be athletes themselves; the programme uses sport as a universal language to reach the youth. Programmes will be carried out in and around Bloemfontein, Cape Town, Durban, Polokwane, Port Elizabeth, Pretoria and Soweto, Richards Bay and Phalabrowa mining communities bringing the total number of camps to 45, touching the lives of 4 500 children across the country. In addition, from research conducted by Grassroot Soccer, it is believed that learners who have participated in the programmes go on to share their knowledge with friends or family – so that the impact of every one person who participates is felt by five additional individuals. At each camp, 100 learners both boys and girls between the ages of 12 and 16 – participate in a five-day, intense curriculum of life skills education linked with HIV prevention messages using soccer activities to engage and entertain. With an estimated nationwide HIV/Aids prevalence of 10.9% and prevalence among the youth (aged 15 to 24 years) of 8.7%, there is an urgent need for programmes like the Castrol Skillz Holiday Programme to address and educate about this pandemic. Each programme consists of a series of skills development sessions. For example, in an activity called Risk Field, participants will dribble a ball between cones marked with HIV-related risks like “multiple partners”, “drug or alcohol abuse” or “romantic relationships with older adults”. If the ball hits one of the cones, the entire team will have to “drop and give me three!” to drive home the point that one person’s risky behaviour has impact on their friends, family and community. The programme is run by Grassroot Soccer coaches and community volunteers – individuals, teachers or even soccer stars. Each week concludes with a “World Cup” final graduation and celebration, which parents and other community members are invited to attend, to positively and publicly affirm the knowledge that these children have gained. 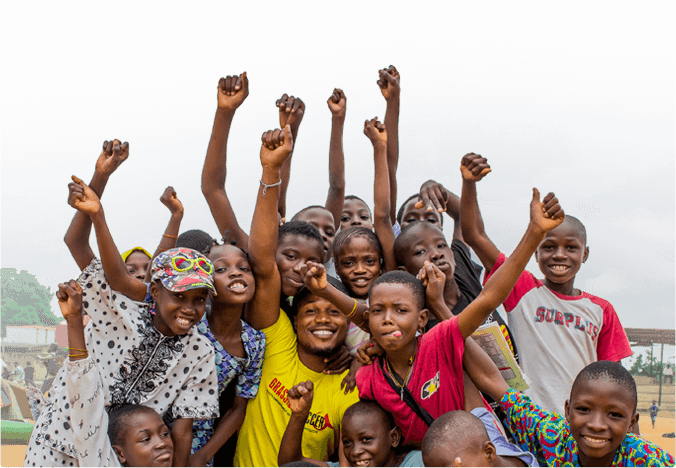 The programme also feeds into the Football for Hope movement, which is a strategic alliance, led by FIFA and streetfootballworld to bring together programmes aimed at children and young people using football as an instrument to promote participation and dialogue.